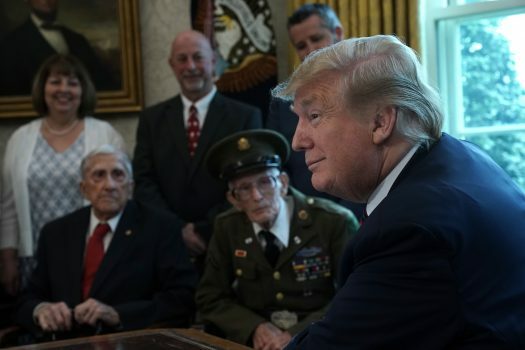 The Democratic chairman of the House tax-writing committee set an April 23 deadline for his request to the Internal Revenue Service (IRS) for President Donald Trump’s tax returns. In a letter (pdf) to IRS Commissioner Charles Rettig, House Ways and Means Committee Chairman Richard Neal wrote that he will consider failure to comply by the new deadline as a refusal to his request. The IRS already has missed the April 10 deadline Neal set in his initial request. 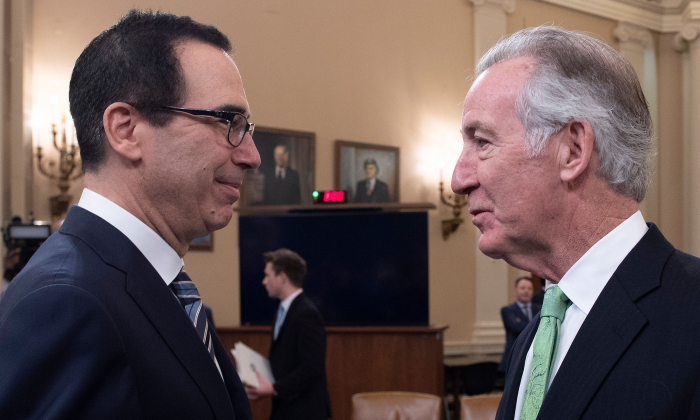 Treasury Secretary Steven Mnuchin said on April 13 that Neal was “just picking arbitrary dates” in setting deadlines. Mnuchin could not say if the Treasury, which oversees the IRS, would complete its review of Neal’s request by the deadline. He emphasized it was more important to get the decision “right” to ensure the IRS would not be “weaponized” in a political dispute. “I do intend to follow the law. But I think these raise very, very complicated legal issues. I don’t think these are simple issues. There are constitutional issues,” Mnuchin said. 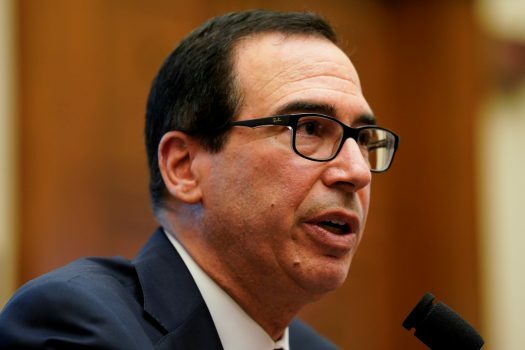 Mnuchin, who has consulted with the White House and Department of Justice about Trump’s tax returns, previously said that Neal’s request raised concerns about the scope of the committee’s authority, privacy protections for taxpayers, and the legislative purpose of lawmakers in seeking the documents. Trump broke from a decades-old custom of presidents releasing their tax returns, arguing that he cannot do so as the IRS is conducting an audit. The president is exercising a privacy protection afforded to all Americans under the tax code. 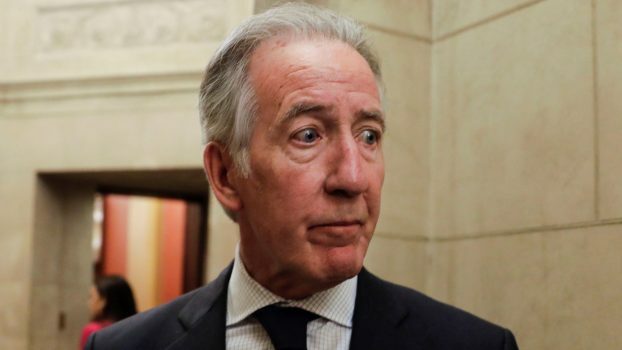 According to a 2017 tally by Roll Call, 90 percent of Democratic lawmakers, including Neal himself, did not release their tax returns, including after being asked to do so. After Neal’s initial request, Trump’s personal attorney, William Consovoy, laid out a detailed legal argument in an April 5 letter (pdf) to the Treasury’s legal counsel, writing that the request fails to provide a legitimate purpose, is motivated by partisan politics, and sets a dangerous precedent. In his letter, Neal addressed the concerns put forth. The new deadline brings the standoff closer to a battle in federal court. Should the IRS miss the new deadline, Neal could follow with a subpoena or opt to file a lawsuit. Neal’s request for the returns of a sitting president is unprecedented, and legal experts say its success or failure may depend on a court ruling about the committee’s legislative purpose for seeking the documents. On April 14, Democratic Sen. Kamala Harris released tax returns through 2018, offering the most complete look to date at a presidential candidate’s finances.